Codey was born on June 2, 1967 in Chadron, Nebraska to Gordon and Sara (Speas) Johnson. 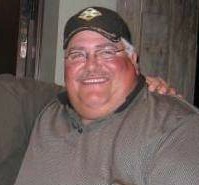 He attended Crawford High School and graduated in 1987. When Codey was a sophomore in high school, he was baptized. Codey worked as a supervisor and equipment operator for Perrett Construction out of Valentine, Nebraska. Codey was an avid fisherman and an all around outdoorsman which he enjoyed with family, especially with his brothers Burl and Gerald. He also enjoyed the sport of rodeo. Codey made friends everywhere he went and you could always find him with a smile on his face. Codey is survived by his mother Sara Johnson of Crawford; sister Vickie and her husband Tom Gilliam of Exeter, Missouri; brothers Burl and his wife Ruth Johnson, Gerald and his wife Maureen Johnson, all of Gering, Nebraska and several nieces and nephews. He was preceded in death by his grandparents, Hanford and Voyne Johnson of Alliance, Nebraska and Ralph and Betty Speas of Crawford; his father Gordon Johnson. A memorial has been established for the Crawford Fire and Rescue Department. Donations may be sent to Chamberlain Chapel, PO Box 970, Chadron, NE 69337.